The Best Hydroponic System - Who Says That You Need Soil For Plants? The Best Hydroponic System – Who Says That You Need Soil For Plants? There are many things which modern science had given us. Better fertilizers, stronger seeds which are resistant to pests and diseases, but few can compare to advanced systems which can improve growth of plants. One such method is the one which features hydroponic approach. In case that you don’t know what this is, I’m giving you this article. 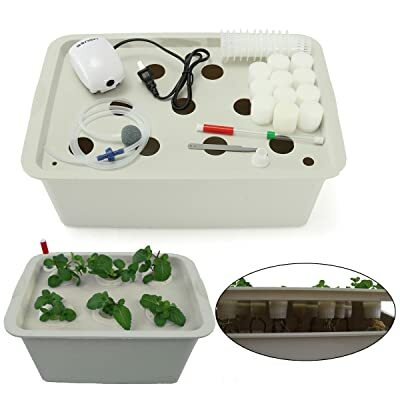 I’ve found the best hydroponic systems which can be chosen among so many others. The task wasn’t easy, but luckily, I’ve managed. Instead of soil, hydroponic system, as the name suggests, uses water as the primary medium for distributing and dispersing of nutrients. However, the things are not that simple, since there is more than one approach to this matter. Some of the hydroponic systems may use water to flood trays with pots; others can utilize gravity and pump to make a closed circle. Since there are few of them, they are listed here. 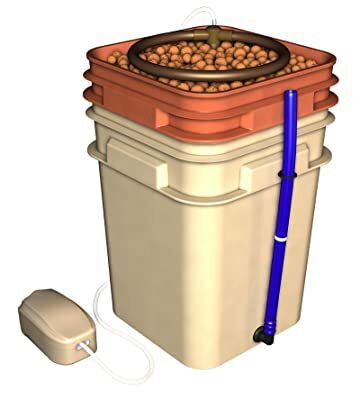 Wicks system – the simplest of all, Wicks system is a passive one since it uses only a piece of rope which is submerged in water, with other end stuck in the soil of the pot. This is an excellent approach to use if you are going on a vacation. Water culture system – a bit more complicated approach, which uses water tank into which the pots are submerged. At the bottom, there is a pump which creates bubbles of air, so that the water is more vibrant with oxygen. Ebb and flow system – you can guess that this approach imitates the ebb and flow of the sea. It uses two pumps to fill the trellis with pots with water and to dry it out after a while. Drip system – I believe that no gardener didn’t hear about “drop by drop” system. This one is the same, only that there is a variety of it with the tank under the container which can collect the remaining water, and return it. However, the approach with collecting can influence the pH value of the soil. Nutrient Film Technique – or shorter N.F.T is one of those approaches which don’t require soil. Instead, it relies on a sloped trellis. The pump forces the water with nutrients to higher section, where it under the force of gravity moves downward and is collected again at the bottom. 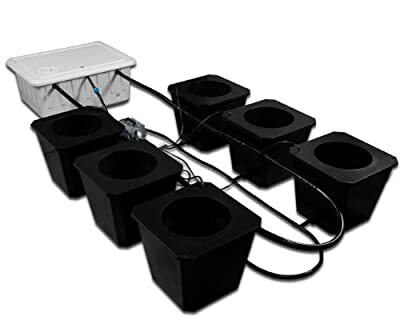 Aeroponic system – perhaps the most advanced system of all, this one features air instead of water as distributing medium. Of course, sprinklers are misting the roots of the plant once in every few seconds, but there is no direct contact between roots and the water flow. Since all of those are very different, there is no universal answer. It depends on your situation, and how much plants you wish to grow this way. They all have their advantages and disadvantages, and you can choose accordingly. Of course, I had to determine specific rules which can be applied to all of those kinds. These rules helped me to establish a winner, and here they are. Probably the first thing which is noticed when a specific product is tested, materials used to make it are the most significant factor in setting the price. More exclusive and resistant ones cost more, so it is natural that the price is high. Speaking of hydroponic systems, it is essential that the materials which are used to be resistant to damage from water in the first place. Also, if the plastic is used, it has to be of the highest possible quality, so that there will be no influence on the water. Of course, if it is UV resistant, it is also a plus. As I mentioned, there are a lot of models and approaches when it comes to hydroponic systems. Naturally, not all of them are the same, and they are not featuring the same capacity. Depending on your needs, some of those will be perfect, while others will not. In any case, my recommendation is always to consider a bigger one, because the smaller one you can’t expand. Of course, some of these systems are intended for a few plants, such as herbs used for cooking, while others are more oriented toward starting seedlings. Again, it comes down to your preference. The main goal of these systems is to make them as independent as possible. Many of those models are featuring programmable controllers which can mean a lot, especially if you are busy, and can’t pay a lot of attention to watering and fertilizing. As for operating, the things are more than apparent. Setting up and using specific model must be simple and intuitive. Those which are complicated by construction and using procedure are not that good since you will need a lot more time to adjust. As with all my other reviews, the matter of cost is vital. It is clear that hydroponic approach is still new and as such its price might be high in general, but do not fall into this trap. Some manufacturers will charge an absurd price for an average product because it is “new” and “trendy”. Things are supposed to go the other way. Always look at the quality of the product first, as well as if it suits your needs. If something seems nice, it doesn’t mean that you will be able to use it effectively. Also, be ready for some toleration regarding price; if the difference is negligible, like 5$, buy it. This system is not something you will buy on a monthly basis. This is an investment. The second part of my reviews is the fun one. Here, I have listed top products which I’m considering to be the best of the best. Of course, not each one will fit every need and plan, but for that, there is comment section under the article. Sometimes, the best product is the one which keeps things simple. This is one such. Regarding material, the winner did a fine job. The buckets are made of plastic, but they are good-looking and sturdy, so there were no leaks or cracks noted. Speaking of buckets, there are eight of them, and this means versatility. I was able to grow eight different plants at the same time. As I said, there are eight buckets, each with the volume of 5 gallons, which is more than enough. This is perfect for medium-sized plants and cooking herbs such as mint or rosemary. Unfortunately, seeds are not possible to start with this system. Plus, there is a separate tank for water, which means a lot, since I didn’t have to lift the upper part of the bucket to check the level of water. The best feature of this model is how easy it was to operate. Only plugging in and starting the pump was needed. However, as it is a problem with all other hydroponic systems with moving water, if left unattended, the pH will change, and the plants will suffer. Regarding price, this is where the product also shines. Although this is one great product, the manufacturer had managed to keep the price in the range of affordable. There are other models which will be charged more, with lower quality. This product is also good, don’t be tricked by it being placed as 2nd. However, smaller capacity decided that it is not worth to be the winner. Regarding materials, the buckets and the tubes are made of plastic. Although it is medium-quality, it was more than enough to fit my needs. However, I got the feeling that the upper parts where the plants were should be made a little better. But, it is nothing drastic, and second place is earned. As for capacity, it will be sufficient if you are not growing too many vegetables. Only four buckets are not enough for large-scale production. Also, since seeds are not possible to start with this model, it is another drawback. Using and operating this model was a walk in the park. I have just connected everything, plugged in power and pressed one button, and that was it! There was no programming or figuring out how things work, so it is recommended for beginners in this field of work. However, the price was not that good. For a model with only four buckets and without those clay pebbles which are used, I believe that the price is too high. It should be cut by half if you ask me, but there is no change in that, unfortunately. Some manufacturers are making the best possible products, and they believe that what they have to offer is worthy. This is the case. Straight from the bat, the materials used for Super BubbleFlow are amazing! Food-grade plastic which is also UV resistant is there to make sure that nothing will go wrong and there will be no bad influence on your harvest. Just, the manufacturer did a great job. As for capacity, I was surprised to see that there were six 5-gallon buckets with a net in the upper section. I thought that this would be a problem, but I have used it for several plants without an issue. Also, the 35-gallon tank proved to be more than enough, since it could provide water and nutrients without a problem. Setting up the system seemed complicated, but in fact, it wasn’t. I have just followed the instructions, and everything turned out fine. The power source was needed, and once I turned on the pump, I was pleasantly surprised how silent it is. I don’t mind even if it is a bit noisy, but this is certainly a great surprise. Regarding price, this system might seem outrageously expensive. But, once the quality and versatility are taken into consideration and the fact that the manufacturer provides a three-year warranty, it is apparent that it is one good investment. If you have read my article about soil test kits, you know that I love those products which look classy. This one looks like a small lab. Regarding materials, this model is decent, although because of small size, it seems cheap. However, I believe that tubes could be a little better made. Other than that, nothing terrible was noted. Regarding capacity, this model from SINOVAL is not something exclusive. 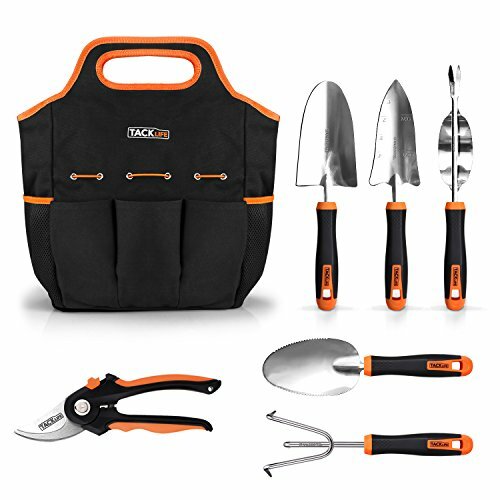 This is primarily because this one is used for starting seeds and smaller plants. When seen in this context, it is pretty sufficient. It can home up to eleven plants, which is more than enough if you are growing tea plants such as mint or chamomile. As for setting up, it is simple, but to avoid anything going wrong, I had to follow the instructions carefully. Things are made easier with additional equipment such as tweezers. Connecting is easy, and the pump does its job rather good. The price of this model is very low, which makes it an excellent choice for beginners in this field, or if you wish to teach your child how to grow specific plants. School projects are somewhat troublesome, and you can use it for this purpose. 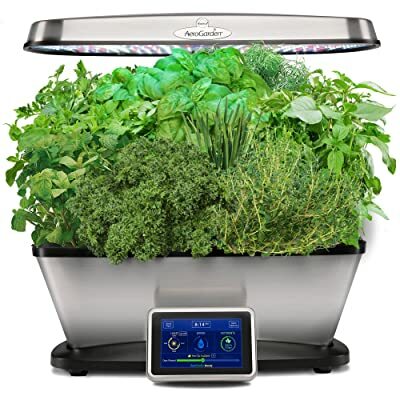 In case that you want your herbs to be close at hand and to look great along the way, look no further since this model is for you. The most apparent feature of this model is the “Elite” part of its name since it lives up to the name. Stainless steel is on the outer side of the device, which makes me wonder why other manufacturers aren’t paying more attention to aesthetics? It looks adorable and stylish, which is even more accented with touch-screen display on the front side. As for capacity, it can grow up to nine plants, which is just perfect. I have grown several herbs used for cooking with a few cherry tomatoes at the same time without any problems. Of course, if you want to experiment and develop plants in different periods, you can do so without a problem. Setting up is easy, since it is already assembled, and it was up to me just to add water and plants. What also sets this model aside is the addition of LED light which will improve the photosynthesis of the plant, thus boosting the growth. The price is quite fitting, since the product looks fantastic, and packs some great and useful features. Of course, it seems a bit high, but once you take into consideration my famous quality-price ratio, it is clear that this is one good deal. Well, that was a new experience for me. I didn’t use this approach in my garden so far, but the things will probably change. 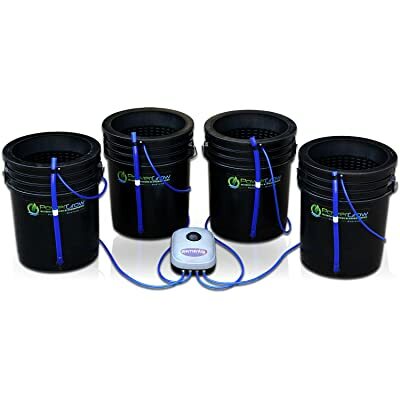 In any case, the best hydroponic system is General Hydroponics Waterfarm GH4120 since it performed the best in fields of quality and reliability. As always, if you have any comment, opinion or advice, feel free to use the comment section below.